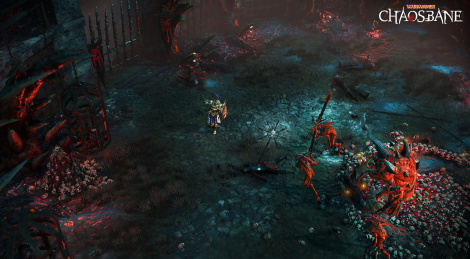 Bigben revealed Warhammer: Chaosbane, an action-RPG from Eko Software currently in development for PC and consoles. The game takes place in the Old World and allows the player to control a human, a high elf, a wood elf, or a dwarf. Two screenshots and some additional informations inside, more should be revealed at E3. Lesquin, June 1, 2018 – Bigben, Games Workshop and Eko Software are glad to reveal the name of the next console and PC game based on the famous Warhammer license: Warhammer: Chaosbane. The development of the title is being done by Eko Software, a French studio who has demonstrated great skill in the hack’n slash genre with How to Survive 1 and 2, a series which captivated millions of players. Warhammer: Chaosbane is currently in development and will be available on console and PC.